2019 Complete Bikes Online Now! — WETHEPEOPLE BIKE CO.
Crafting BMX bikes is what we do. It’s in our blood and it fuels us day after day. It’s also at the core of who we are as a brand and as BMX riders. The bikes we have created are an echo of how far we’ve come as a bicycle company and where BMX has taken us since our birth in 1996. The 2019 line of WETHEPEOPLE complete bikes is more than just an improvement on last year’s range. We have rebuilt the entire line from the ground up; ensuring each bike is at the absolute best it can possibly be in aesthetics, feeling and value. We listened carefully to our extended family of team riders, shops, distributions and customers to work out the winning formula for what makes a complete bike “perfect” at any level. We can confidently stand behind this year’s range as a testament to a lot of hard work. As always, this year’s bikes are stacked with a whole line of groundbreaking and innovative new parts from Salt and Saltplus. We decided to focus on how we can improve upon even the most basic components often used at the very start of our bike line. Through a year of meticulous development and material re-search we developed an insanely strong single wall rim in the form of the new 2019 Salt Valon, which offers aftermarket levels of strength at a lower starting point. On top of this, we are excited to welcome the new Salt Zion Stem, Salt Gateway Sprocket and Saltplus Burn Tire to our bikes as well as many other incredible new Salt and Saltplus products - which help build the foundations of a unique and absolutely unbeatable line of complete bikes. 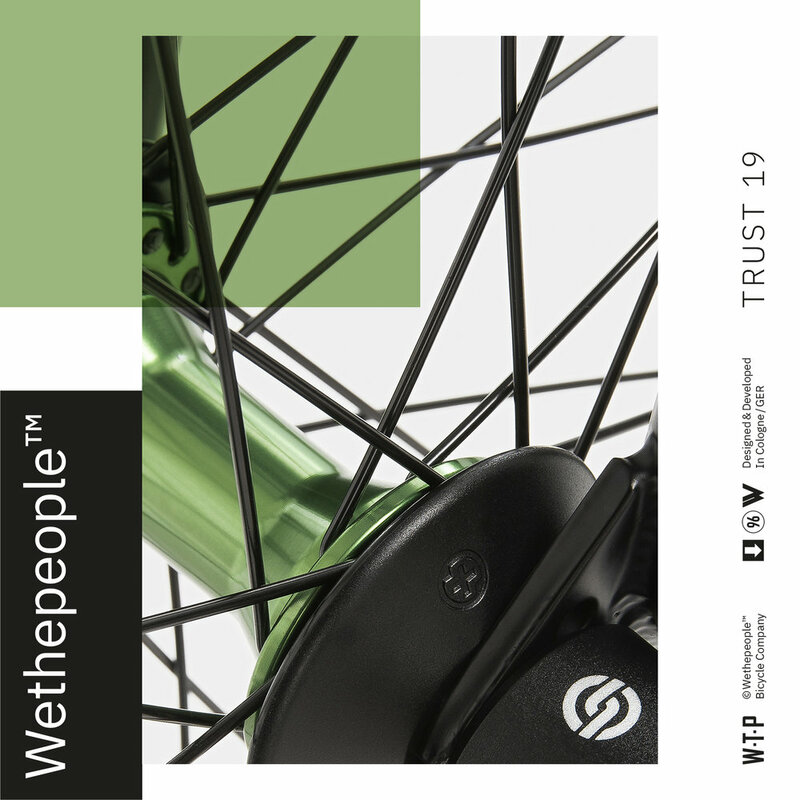 Our own Wethepeople aftermarket product line has evolved and grown this year. The team inspired LOGIC series now includes the all new large platform Logic Pedal, 22mm 3pc Logic Cranks and a super tough Logic Sprocket, all of which are featured across this year’s line of bikes, bringing even more aftermarket punch to an already incredibly advanced and well developed line of completes. 2019 marks a 10-year anniversary of our sister brand Éclat, a brand that has undoubtedly left a huge mark on BMX already. We are excited to unveil some of their latest product line on our bikes this year. Highlights include the brand new reborn Bondi Rim and Trippin Rim, but most importantly the all-new Bios Pivotal Seat which can be found on almost every bike this year, and utilizes Éclat’s own Pivotal base system for a refined look and increased strength over a traditional open model seat. The NOVA opens the line with a full facelift including an upgrade to an integrated headset, brand new Salt products and now three exciting colourways allowing more riders to be able to enjoy WETHEPEOPLE quality at an even lower price point. The ARCADE is now the most packed entry-level machine in our line. We felt it incredibly important to go fully sealed with all bearings on this bike, allowing this 20.5” or 21” beast to preform incredibly for newcomer or master alike. The JUSTICE and REASON set a new benchmark in just how stacked a complete bike can be. They are now 100% chromoly, fully sealed street machines, both with technical/responsive geometry and a full assortment of Saltplus parts including x4 PRO Nylon hubguards and a solid alloy Solidus Sprocket. 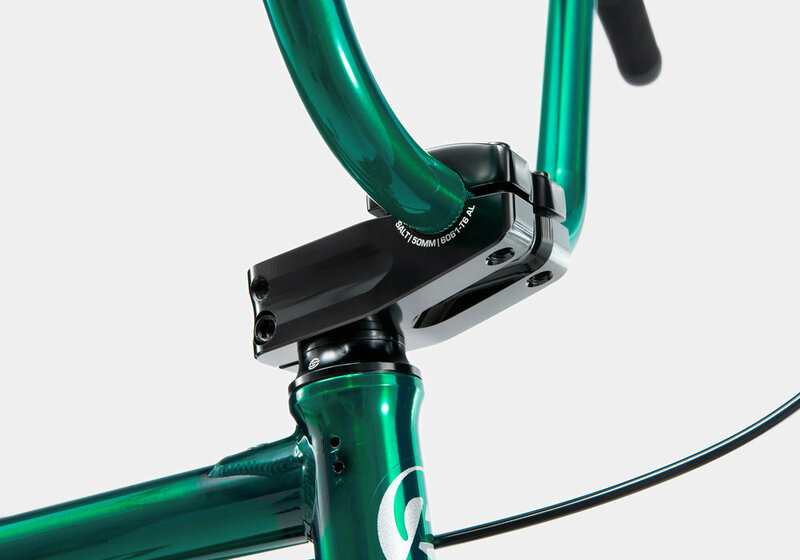 Our mid-level line has been refined and grown with a clear distinction and an intended rider in mind for each bike, including the taller 127mm headtube and slammed stem on the all-round CRYSIS. New 6061-T6 alloy Wethepeople Message Pegs and Logic Sprocket on the park shredding VERSUS and a super tough cold-forged Éclat ONYX Stem & Sprocket on the street slaying TRUST which comes in both a cassette or a freecoaster version. This year sees the introduction of two very special new models, The REVOLVER and the BATTLESHIP. Both utilizing two of our most popular aftermarket frames and backed up by a full PRO level spec list which would rival any of the bikes our team are riding. These two very special and unique bikes allow even more choice for a rider to ride a PRO level bike straight out of the box. Last but not least, the jaw dropping and iconic ENVY is back and better than ever with an unrivalled parts list and one of our most outlandish finishes ever “Burnt Metal”. The Envy stands proud as quite simply the best BMX bike on the planet and this year is no different. To accompany the 20” bikes, our offering of larger size wheel bikes returns for another year. The 22” AUDIO, 24” ATLAS and the 26’ AVENGER are back in 3 incredible colourways. 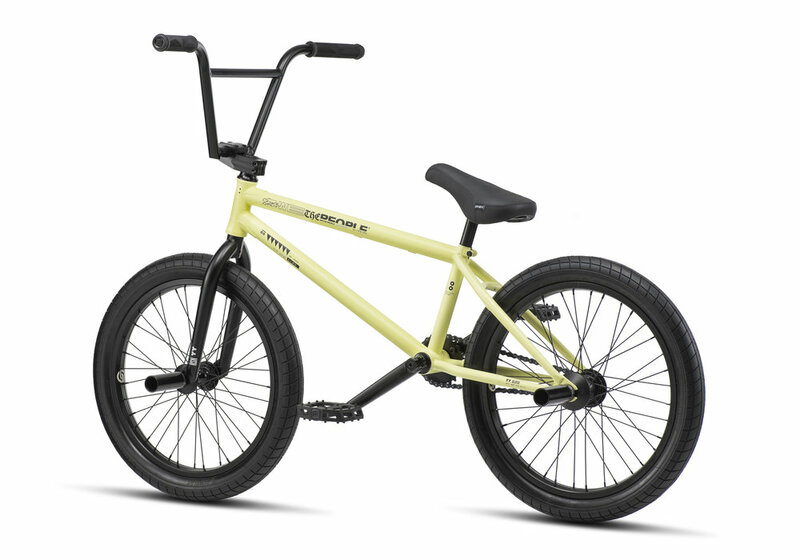 The 2019 line really is a reinvention of just how unbelievably detailed and well designed a BMX bike can be. We hope you notice the extra work and dedication that has gone into what is ultimately our most complete line of bikes yet. Bikes landing at international distributors and shops this month. Contact your local WETHEPEOPLE dealer for availability.